Just about anyone with even a passing interest in watches knows Watchuseek.com. 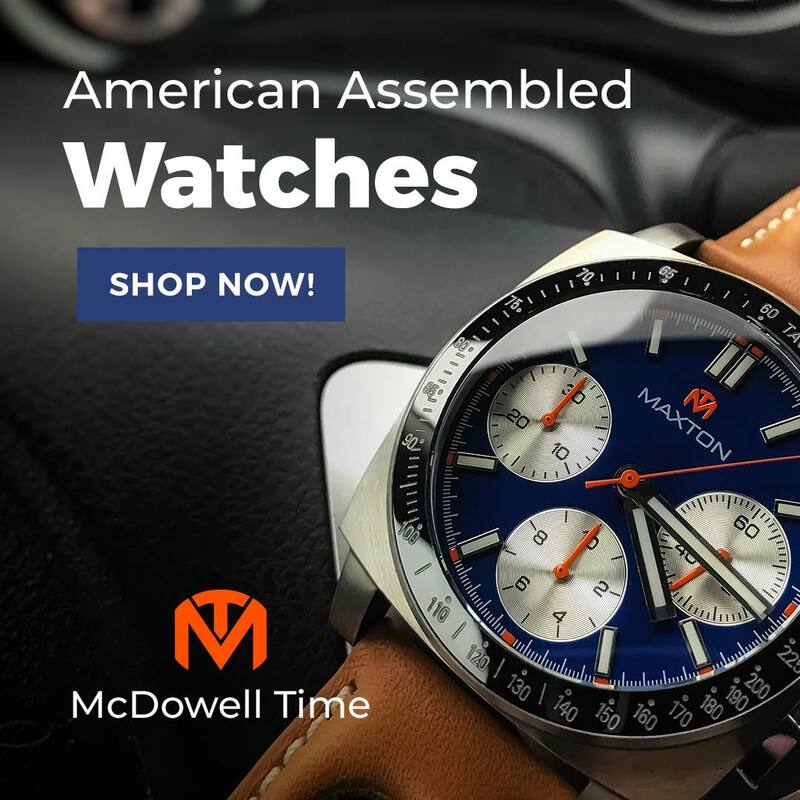 In addition to being the top source of watch information and sales, it has also spawned a good number of low-volume forum watches. These limited editions are often designed with forum members' input and produced by respected microbrands. The Emperor Diver was the 2017 F71 Affordables Forum watch. 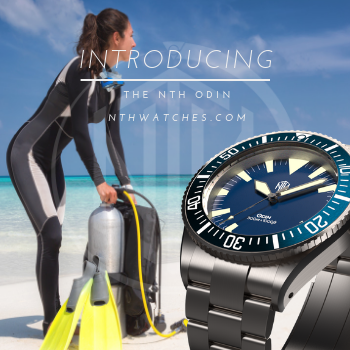 It is a legitimate 200m rated tool watch in the style of a 1960's diver. The project was produced under the direction of a small committee including industry veteran HKEd. He sent me a black dial press loaner for evaluation and I liked it so much, I just ordered one for myself. Over the years, I have learned exactly what features make a watch a keeper for my collection. The Emperor Diver has all of them. I prefer mid-sized cases. I've got nothing against large watches, but they really only have a place on the weekends. I have a 6.5" wrist and a job that requires a coat and tie. That means 42mm is the upper limit. Ideally, I need a watch that is 40mm or less with a profile low enough to slip under a buttoned shirt cuff. The Emperor fits the bill. Its stainless steel case is 40mm wide, 47mm long, and just 13.5mm thick but looks even slimmer thanks to an indented case back and slightly bowed, polished sides that contrast with the circular brushing on the top surface. The Emperor's screw down crown is proportionately sized, only 7mm with a domed head. I like domed crystals in general and box crystals in particular. The Emperor has a tall sapphire lens with an internal anti-reflective coating. I might have chosen acrylic for this application, but I can't deny that this tall and highly scratch resistant lens adds value to the watch. The fact that it mimics the shape of a vintage acrylic dome is an added plus for me. My strap drawer is full of barely-worn bracelets as nearly all my watches end up on aftermarket leather -- unless they came on something really special. A good beads-of-rice certainly qualifies. Few designs are as comfortable or as satisfying. Again, the Emperor delivers. It has fitted end links and those smooth, round, and polished center links offer precise sizing and unbeatable comfort. Proper single-ended screw pins hold it all together. I'd say it is comparable to the bracelet on my Doxa SUB 300, except that I prefer the smoother articulation afforded by the Emperor's shorter links, as well as the push-button, flip-lock clasp with micro adjustments to the Doxa's awkward, sticky friction lock. Better still, I understand the production clasp will be an improved, higher-quality piece signed with the Emperor logo. They outdid themselves with this bracelet, but if I ever tire of it, drilled lugs will make it a snap to remove. When it comes to movements, I like the 28.8k sweep of a Miyota 9015 or ETA 2824 as much as the next guy, but if given the option to go cheaper, I'm perfectly happy with a rock solid 21.6k bph Seiko. The NH35 in the Emperor gives me everything I need: hacking and hand-winding capabilities, Diashock protection, a 40+ hour power reserve, and no-brainer reliability, all for less than those slightly higher-spec units. As an added bonus, it has a quieter rotor than either of those movements. I appreciate quality lume and lots of it. The Emperor provides a healthy application of BGW9 SuperLuminova on the hands, the wedge-shaped markers, and - best of all - on every marker of the jet black bezel. Travel, by the way, is perfectly sound, snapping through its 120 clicks with just the right degree of fingertip effort. The watch is named for the Emperor Penguin, so its dial features an applied, stylized penguin logo. To be honest, I thought it looked like a coffin until I recognized the diamond-shaped head and orange breast. It made me do a double-take, but I'm pleased that they went for an abstract image and I've come to appreciate it. 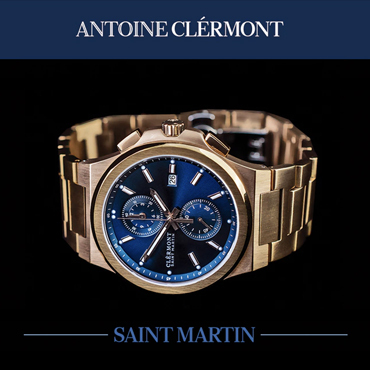 The caseback has a more recognizable image, with the emphasis on the animal's streamlined underwater shape and not its waddling, tuxedo-clad appearance on land. This is good. When dealing with penguins, the temptation to rely on saccharine cute is all too great. 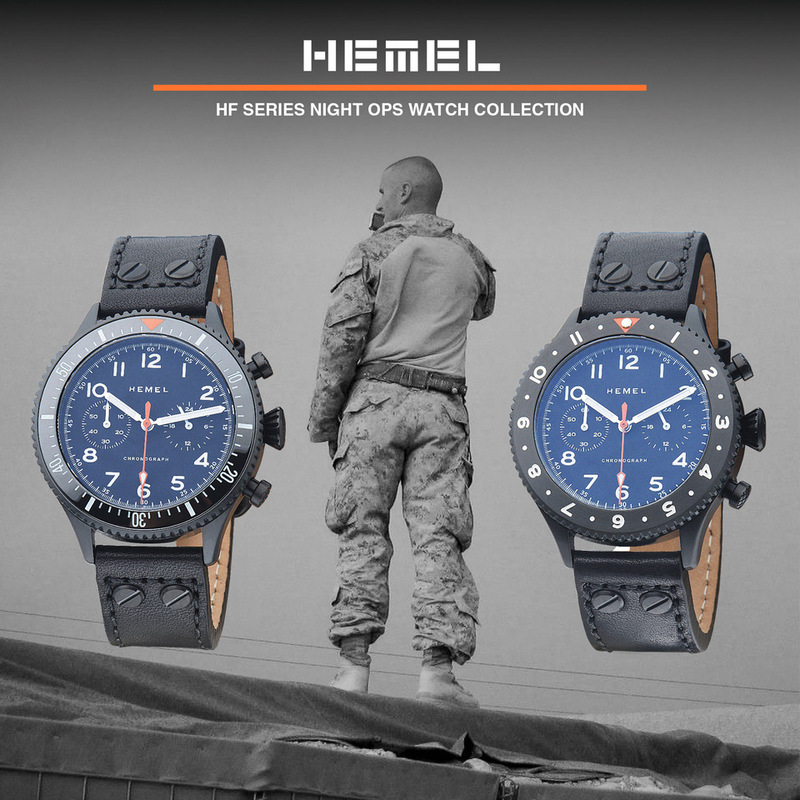 Three models are offered: black or brown with a black PVD bezel, and blue with a brushed steel bezel. The high contrast black dial is probably the most practical for diving, but I jumped on the sunburst brown dial with Old Radium SuperLuminova and PVD black bezel. The warm tones won me over from the very start.